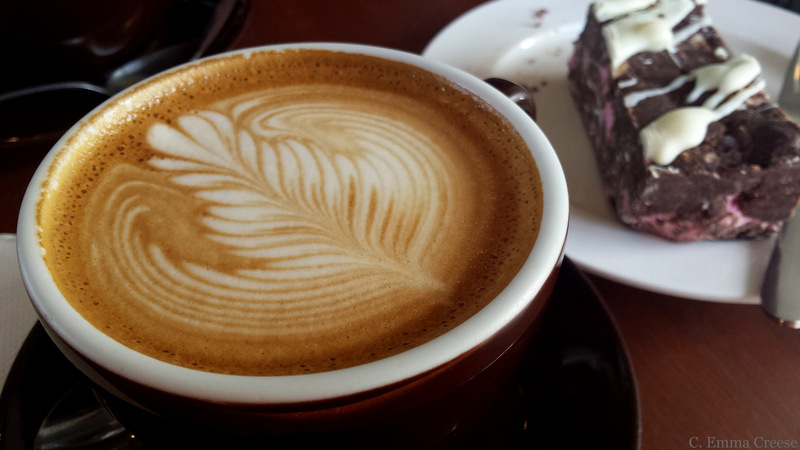 Once you have had your fill of exploring Christchurch (and drinking the cracking coffee) there are 5 places you have to make a day trip of whilst at the tip of the South Island. 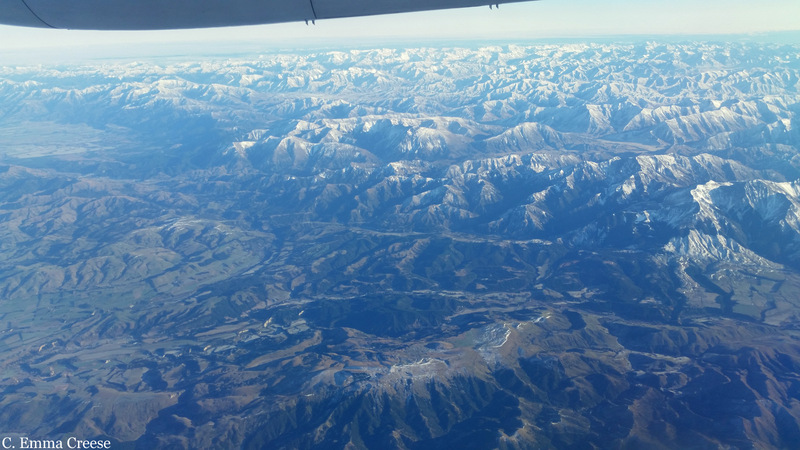 Crowning the list is one of the top railway journeys in the world – the Tranzalpine journey from Christchurch to Greymouth. We unluckily ran into a few problems insofar as a hour into the comfortable 4 hour train ride (we breakfasted on Afghan biscuits and sipped Flat Whites – oh how I adore being home) an elderly gentleman drove over the train tracks ahead of our train but sorely misjudged the timing. different view of the incredible scenery. river beds we were entranced. Due to the short turn around time, once we arrived in Greymouth we just grabbed a sandwich and hopped back onto the coach, but had considered staying the night to pop into the Monteith Brewery and explore the Punakaiki “Pancake” rocks. Next time, next time. I have always dreamt of doing this – and sadly foiled at Christmas in Tauranga due to stormy seas, we booked in with much excitement to travel up to Kaikoura (all my kiwi friends will be grimacing with the tourist-yness of this statement) but alas also owing to stormy conditions, our trip was cancelled whilst we were in Christchurch. It will be third time lucky, right? This is more of a half day trip, but beautiful nonetheless. We relaxed in the cliff top restaurant with a coffee and a beating heart (I do not love cable cars) but the view was more than worth the journey. Who doesn’t love a relaxing sunset beer before returning to their hotel for pies a lovely meal? 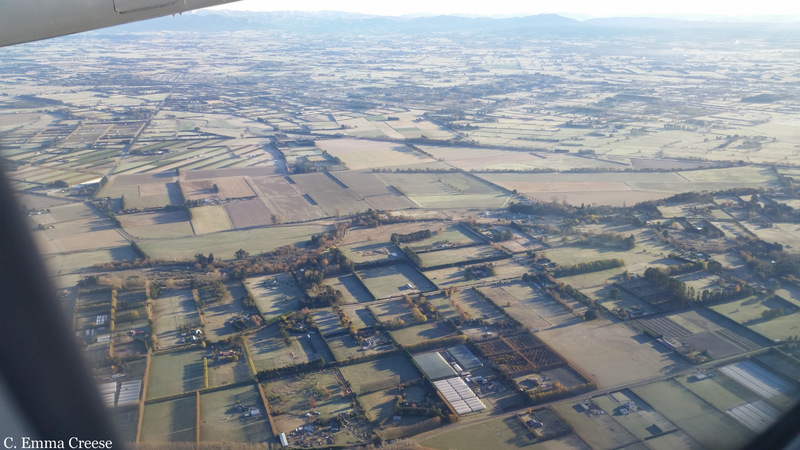 Have you been to Christchurch? (ps this is in no way a sponsored post, just sharing a little travel joy we found in New Zealand). Christchurch broke our hearts. 4 years after the 2011 6.3 magnitude earthquake, there are still families affected by the violent tectonic shaking and insurance companies running out of budget to get them back on their feet. Everywhere you walk through the quiet city there are reminders of the devastation – a half standing Cathedral surrounded by fallen masonry, orange construction cones barring entry and staircases leading to nowhere. is to hand (and if you’re a farmer it’s usually 8-gauge fencing wire) – is everywhere. 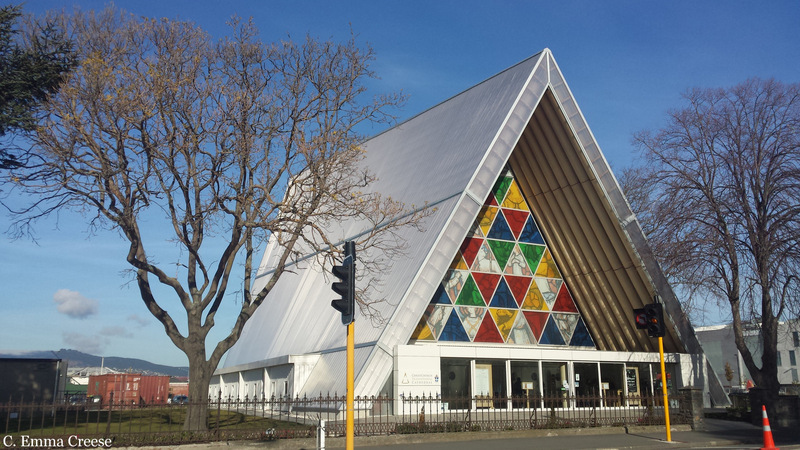 Take the surprisingly beautiful Cardboard Cathedral, the stunning murals painted on the exposed walls of buildings, wire fences set with colourful patterning and the ReStart mall made from shipping containers. 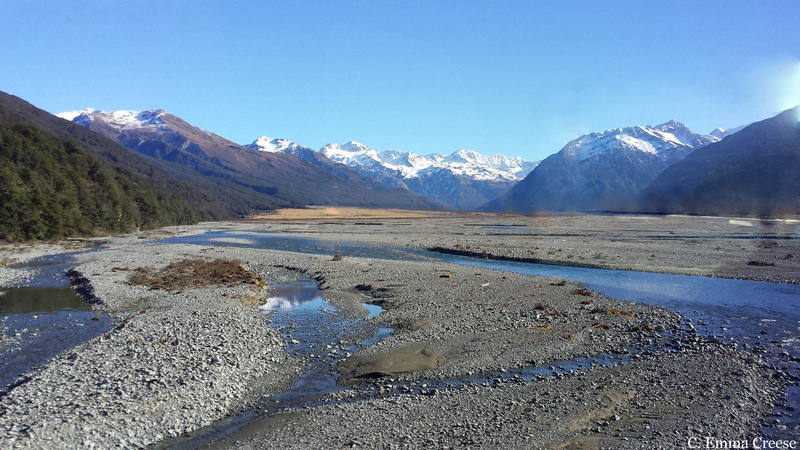 The most I had ever seen of New Zealand’s South Island was in Lord of the Rings movies. There, I said it, my guilty secret. For all the world that I’ve been lucky enough to travel, I’ve carried a skeleton in my travel wishlist with me that made me ashamed to call myself a New Zealander. Most Brits that I’ve met remark on how Kiwis and Aussies on their OE have explored more of the UK in their (usually) 2 years, than the Brits have in their entire lives. It’s the hometown tourist enigma – why would you want to travel there when it will always be there, right? 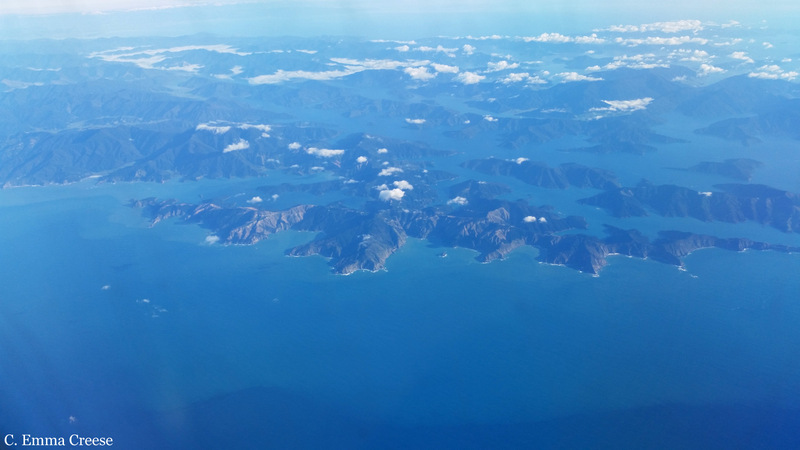 North Island and only a short ferry to the South, I had never bridged the gap between the two. 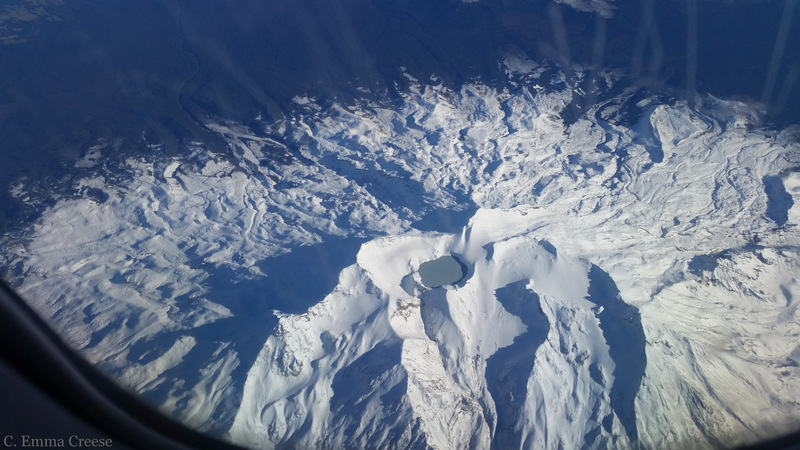 …to snow capped volcanic lakes, all in one 2 hour flight. unexpected opportunity to discover some of the other half of my home. the top half of the Island, leaving a few surprises for another time. circumnavigating the globe 3 times in 12 months though!). years ago, Christchurch broke my hear twice – once with the rubble strewn building sites and a second time with the wonderful can-do spirit of city-dwellers, some who still don’t have their homes back. 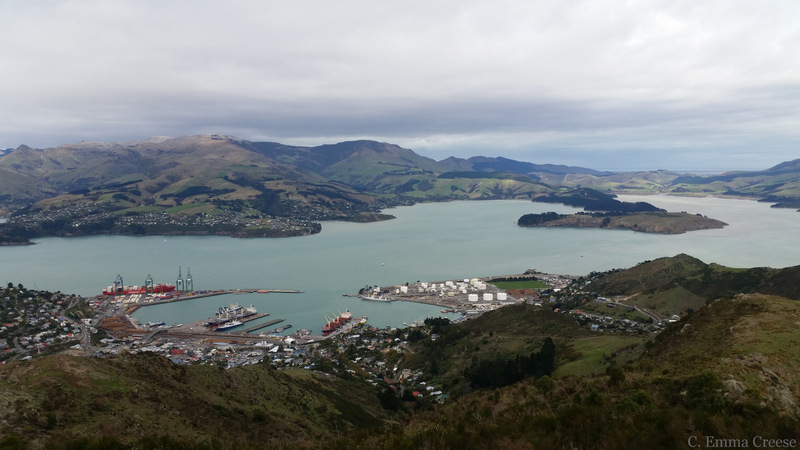 Fellow London Kiwi, bubbly, cat-loving, flat-white drinking and exercise-hating +Rebecca Blandford has kindly taken over Adventures of a London Kiwi, with her exploration of the Otago Rail Trail, in the South Island of New Zealand. I told you that this week would be a bevvie of beautiful bloggers didn’t I? 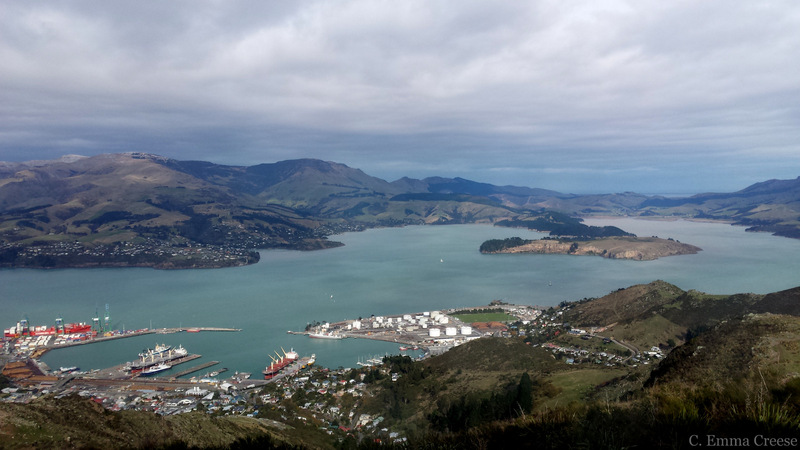 The Otago Rail Trail, a Runaway Kiwi and a killer Lamb. The ever amazing Emma asked me to guest post on her blog, and being a thrill seeker she said I could write about whatever I liked…rookie mistake. But since the rumour is that she has a secret supply of Pineapple Lumps I better behave myself, so let me tell you about the time I voluntarily did exercise on holiday. 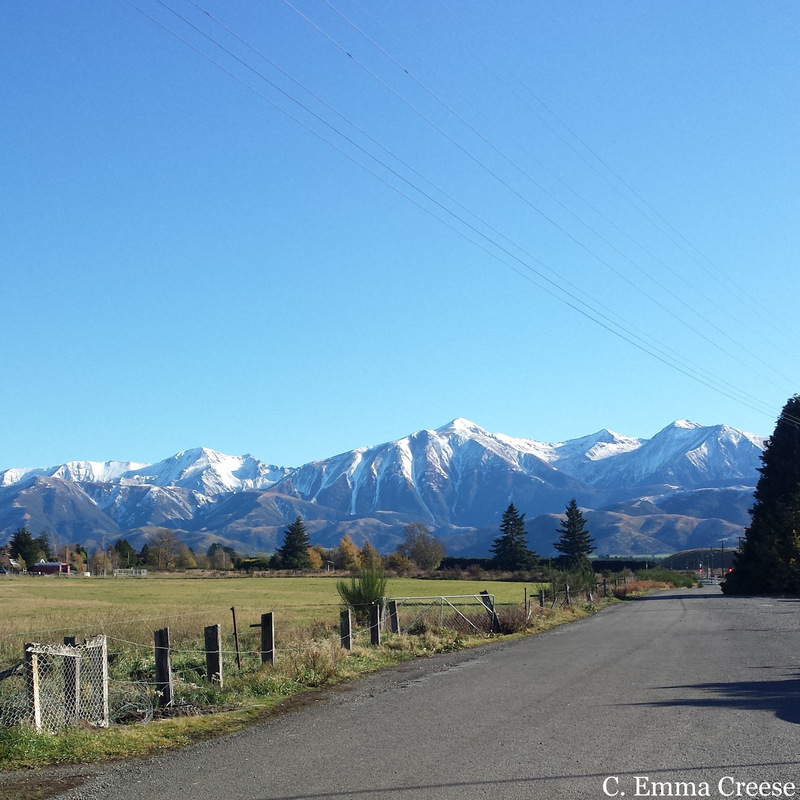 This is the story of the time I rode the Otago Rail Trail. As my friends know, I love making impossible plans when drunk. After a few glasses of Pinot I think that the world is my oyster and running a marathon, taking a round the world trip or signing up for an advanced physics degree are all entirely plausible and very exciting options. Normally this would not be a problem, but in the age of the internet it means life gets a whole lot more interesting. Pre-internet you would wake up with a hangover and laugh about the stupid implausible things you planned last night. But with the internet and credit cards you wake up with a hangover and realise that the anti-exercise girl who has not ridden a bike in ten years has just booked a holiday to Otago for a week long bike ride over New Years. When the trains stopped running in the central South Island of New Zealand, someone came up with the bright idea of taking out the tracks and making it a public cycle track and thus the Otago Rail trail was born. After all, trains can’t go up hills so the entire thing is mercifully flat and it goes through some of the most heartbreakingly beautiful countryside. Luckily the Pinot had given me enough presence of mind to book an entirely assisted trip, this meant that all food and was going to be provided (including some epic cooked breakfasts) and the best bit was we had a van following us the entire time. The magic of this van meant that they took our bags from hotel to hotel and if the cycling all got a bit much they could drive us to the next pit stop. The plan was to do some training before the trip, well that was the plan anyway. The training turned out to be one bike ride to a cafe ten minutes down the road where we had to walk back because we were worried about spilling our flat whites. We were perfectly prepped for the 150kms of cycling ahead. 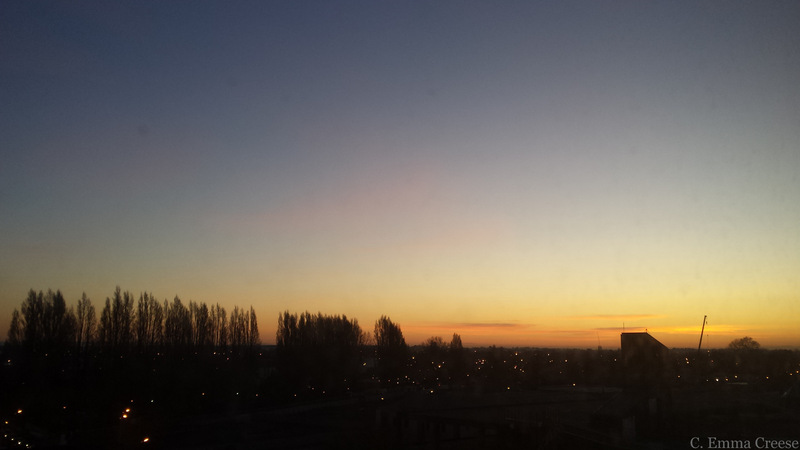 It was incredibly beautiful. We were lucky with the weather, not too hot and not a speck of rain in sight. The ride was tough but we started with a road cycle beside some beautiful lakes to get us used to it, and by the time we hit the almost empty rail trail we were pros. 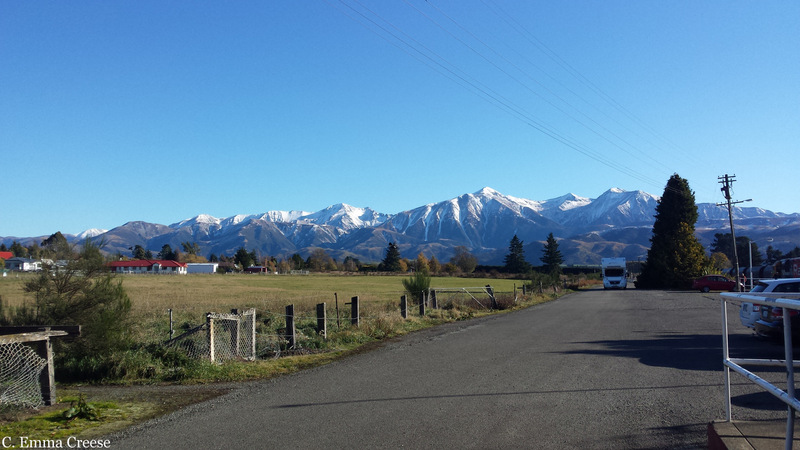 There was something utterly in balance about cycling hard each day in the heartland of New Zealand, a massive hot dinner at night and in the morning waking with aching muscles ready to do it all again. The only scary moment was when I got attacked by a lamb. Stop laughing. It bounded out of nowhere like a bat out of hell, and I was forced to take evasive manoeuvres in order to survive. I think what hurt most of all is that no one believed that it was a vicious and malicious creature with fangs, glowing red eyes and poison dripping from its wool. But hey, after a strong flat white and a pie I was ready to go again. The holiday ended with an amazing historic train trip through the lower Taieri Gorge to Dunedin, just in time for a cocktail and tiredness fuelled New Years Eve. But the cycling was not over yet, on the way back to Christchurch on New Years Day we stopped by the Moeraki boulders for a photo followed by some more road cycling. Road cycling where I definitively managed to snap the chain on my bike. Sitting by the roadside in a field of grain, waiting for the support team to pick me up, felt like the most perfect end of the mad adventure that was the Otago Rail Trail.